The French National Assembly’s Finance Committee recently published a report about virtual currencies. In his foreword to the report, the committee chairman, Éric Woerth, suggested that privacy-preserving virtual currencies should be banned. The Electric Coin Company respectfully disagrees with M. Woerth’s suggestion. The report is the culmination of almost a year’s work, which included extensive consultation with a broad group, including entrepreneurs, regulators, and bankers. The rapporteur, Assembly member Pierre Person, included in the report a number of recommendations regarding the tax treatment of crypto assets and regulation of ICOs and crypto-asset service providers. The report also proposes a series of measures intended to foster the crypto-asset and blockchain sector in France, including improved access to banking services for entrepreneurs in the crypto sector, a cut in tax for electricity consumption associated with cryptocurrency mining, and adoption of educational curricula to ensure that the entrepreneurs of tomorrow are equipped with the necessary knowledge and skills to take advantage of blockchain technology. We applaud these recommendations. M. Person and his colleagues clearly made a concerted effort to gain an understanding of crypto assets and blockchain technology. In his foreword to the report, the chairman of the finance committee, Éric Woerth, expressed reservations regarding some of the rapporteur’s proposals and suggested the report should have proposed a ban on privacy-preserving virtual currencies, explicitly naming Zcash as an example. We respectfully disagree with M. Woerth. His suggestion appears to be rooted in a failure to appreciate the importance of personal financial privacy and a misunderstanding of how anti-money laundering and counter terrorist financing measures can be applied to virtual currencies to prevent their use for illicit purposes. Personal financial information can reveal too much about the subject — including how much they earn; where they shop; what newspapers, magazines and websites they subscribe to; their hobbies and interests; what causes and political parties they donate to; and how much they have saved. The Electric Coin Company believes that privacy is a fundamental human right and that personal financial privacy is essential to protecting the individual freedoms that preserve an open and democratic society. We also believe that privacy is an essential feature of any virtual currency, to achieve widespread adoption and fulfill its potential to improve society. Governments of the world’s largest economies have recognised the importance of personal financial privacy and have enacted legislation to protect it. Examples include the Gramm-Leach-Bliley Act in the United States, the EU’s General Data Protection Regulation (GDPR), and Japan’s Act on the Protection of Personal Information. High-profile incidents, such as the Experian data breach, have raised public awareness of the importance of robust privacy protections. At the same time, the growing use of virtual currencies has raised concerns about their potential misuse for criminal activities. Around the world, regulators and policy makers have begun applying Anti-Money Laundering and Combating the Financing of Terrorism (AML/CFT) regulations to virtual currencies. Different jurisdictions are moving at different speeds. In the US, the Financial Crimes Enforcement Network (FinCEN) moved swiftly to classify virtual currency exchangers as money-services businesses, while the New York Department of Financial Services introduced specific legislation in the form of the BitLicense, which has provided regulatory clarity for firms operating in this sector and their customers. In Europe, the EU’s Fifth Anti-Money-Laundering Directive, requires that virtual currency exchanges and custodial wallet providers begin carrying out “Know Your Customer” (KYC) and AML checks from January 2020. At an inter-governmental level, FATF is currently working to finalize its recommendations regarding the application of AML/CFT regulations to virtual-asset service providers. We at the Electric Coin Company actively engage with policy-makers and regulators, both directly and by supporting the work of organisations such as Coin Center, the Blockchain Association, Global Digital Finance, and the Blockchain Alliance. We believe that well-educated policy makers and regulators write good policy and regulations, so we seek to help those groups understand how the privacy-preserving technology that underpins Zcash works, what the implications are for regulation and compliance, and most importantly, how a privacy-preserving virtual currency like Zcash is compatible with common AML/CFT measures. From an AML/CFT perspective, Zcash is similar in nature to cash. 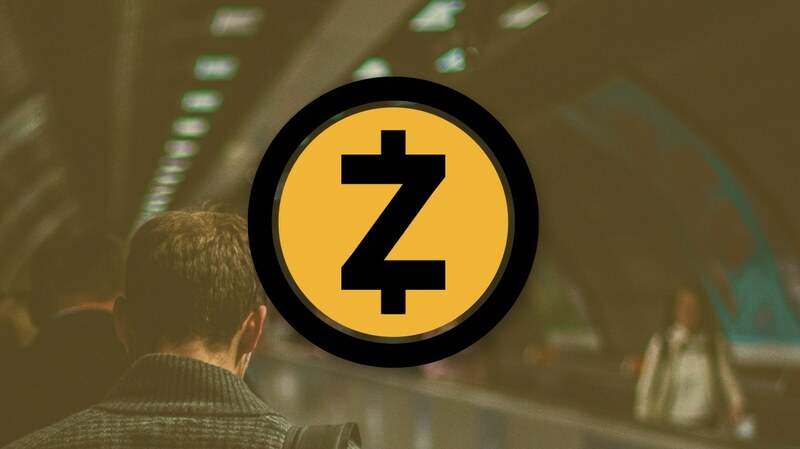 The techniques and processes that have been honed and perfected over decades to detect and discourage the use of cash for money laundering and terrorist financing can be applied to Zcash, including customer due-diligence checks, record-keeping, and making Suspicious Activity Reports (SARs) when appropriate. The Zcash protocol requires the use of payment addresses for all transactions. This allows virtual-asset service providers (VASPs), such as exchanges, to issue a unique deposit address to each customer, thus allowing Zcash transactions to be unequivocally attributed to a specific customer. It also requires that customers provide a payment address in order to receive payments or withdrawals from a VASP. This enables record-keeping and transaction monitoring, both of which are necessary to enable the detection and reporting of suspicious transactions. It also allows VASPs to prevent customers from sending funds to payment addresses that have been identified as being associated with sanctioned persons or organizations. In combination, these measures allow VASPs to manage the AML/CFT risks associated with Zcash transactions, while benefiting from, and allowing their customers to benefit from, the privacy that Zcash provides. We invite M. Woerth and any other policy-makers and regulators who have concerns regarding Zcash’s privacy-preserving features to contact us and discuss those concerns.